The 2016 Chevy Tahoe in Albany, NY is an SUV that has aged quite well over the years, and it has never been stronger than it is today. The Tahoe has a unique design, and it drifts away from the typical and all too familiar ruggedness found on most SUVs. Aiding in this unique design is a unique driving experience, and underneath the hood is an engine that’s both powerful and efficient, which strays from the typical dynamic of power over efficiency found in most SUVs. Rounding off the sophistication, Chevy made sure the Tahoe was equipped with plenty of state-of-the-art technology features. The combination of capability, efficiency, sophistication, and technology makes the Tahoe a well-rounded SUV for the buyer that’s looking to buck the norm. Ruggedness is the main design choice when it comes to SUVs, but the Tahoe is different. It’s by no means a weak looking vehicle, but the bold and in-your-face design found on vehicles like the Durango or Suburban isn’t present. Instead, you are left with a vehicle that looks masculine thanks to it’s strong and sophisticated demeanor — which is something the other SUVs are lacking. The front fascia is still wide and tall, and the Chevy logo is situated in the center of the signature split-grille design. The headlights are just as tall and wide as the front-end, and have a cluster of smaller LED lights that run directly through the center of the headlights and foglights. Chrome trim runs around the lights and grille, which gives the front-end a hint of boldness. The hood is also wide and powerful, and sweeps back up onto the windshield. That windshield then gives way to a flat and square roof, where aerodynamics and practicality are favored as opposed to style. The sides are left relatively simple, the only obvious design being a chiseled line that runs from the front tire towards the back tire. It then cuts upward at a steep angle on the other side of the wheel well, and it runs up towards the taillight. Overall, the entire design itself is tall, wide, and strong. It still has the traditional rectangular SUV shape, but the bulges and other exterior design features that make other SUVs so much bolder aren’t present. 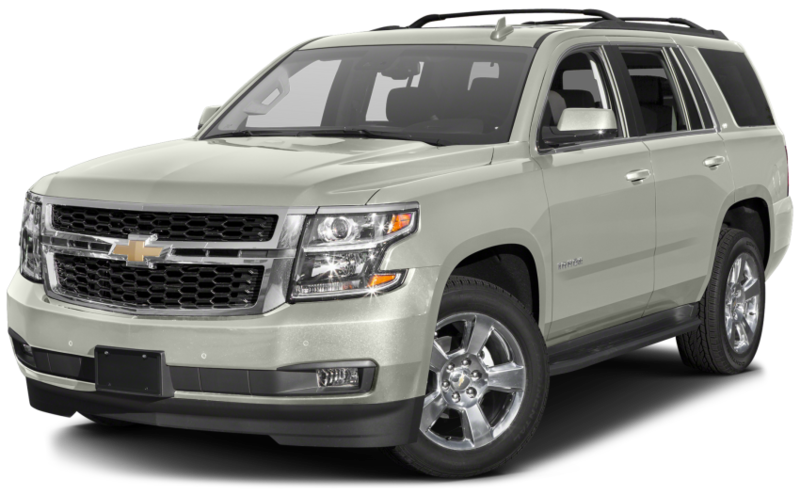 This creates a refreshing design, one where the strength of the Tahoe is provided by it’s simplistic nature and naturally large size. The 2016 Chevy Tahoe has one engine choice: a 5.3-liter EcoTec3 V8 engine. While this makes it seem like the Tahoe is at a disadvantage, this 5.3-liter EcoTec3 engine has plenty of performance and efficiency enhancing technologies equipped, like Variable Valve Timing, Direct Injection, and Active Fuel Management. Variable Valve Timing in particular is a main reason for this engine’s refined performance, and it provides a more precisely calibrated ratio of fuel, air, and spark to make the combustion process both more efficient and powerful. Thanks to this more sophisticated and refined engine design, the Tahoe is able to achieve a best-in-class fuel economy rating — which means it beats other competitors like the Durango. It gets up to 16 mpg city and 23 mpg highway, and the engine makes sure not to sacrifice power for fuel-efficiency. Therefore, the V8 engine still puts out 355 horsepower and 383 lb-ft of torque, which allows the Tahoe to tow up to 8,600 pounds. Chevy made sure to load the Tahoe with plenty of advanced technology to both entertain and make life more convenient on the road. For example, the MyLink system Chevy fans are so fond of has been upgraded for 2016. While it might not be model specific, that still means the Tahoe has the latest and greatest version of MyLink on board, which makes operating the infotainment system much more intuitive. 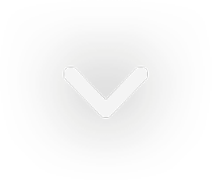 It also provides support for Apple CarPlay and Android Auto, whereas before it only supported Android phones. This enhanced smartphone integration experience ensures that you can pick the Tahoe without fear of having your smartphone capabilities limited. To further promote the use of your smartphone, a built-in 4G LTE Wi-Fi hotspot is available, and lets you use all your favorite apps on your phone without wasting data. So if you decide to hook your phone up to MyLink via Bluetooth and stream Pandora or Spotify, you don’t need to worry about data connection charges. In order to keep your favorite entertainment devices up and running, there is an abundance of charging stations available. These are broken down into six USB ports, a 110-volt three-prong outlet, and even a wireless charging station. Collectively, these features create a tech-centric cabin that avid smartphone users will greatly appreciate. Here at DePaula Chevrolet, two of our main driving values are having upfront pricing and being customer focused. This means your needs, budget, and time come first, and you will experience a transparent, simple, and fast car buying experience. These two ideas are backed by 24/7 availability, where you can contact us via phone, email, or even online live chat. For an even more personalized experience, join the DePaula Chevy family by taking advantage of our Preferred Customer Program. This program has plenty of perks, like getting $250.00 towards the purchase of any new or used vehicle, $25.00 towards any service, parts, or accessories purchase, 5% off any non-warranty maintenance work, and 5% off any purchase of parts or accessories. Why do we do offer all this? Because we want you to become part of the DePaula Family. That doesn’t mean we’ll give you the cold shoulder if you don’t join the program. On the contrary, the genuinely welcoming environment every member of the DePaula team helps create is something that isn’t found when shopping at other dealerships. Our sales staff are knowledgeable and friendly, and have no problem answering any questions you might have about the buying process, or the various new and used vehicles you’ll find on our lot. Our finance department will ensure that you get the financing you are looking for, and our service department has expertly trained technicians eager to repair or maintain your car. All of this adds up to an unparalleled car buying experience, and our goal is to help you from the moment you walk in the door, and then years down the road after you purchase one of our vehicles. Because when you shop with us, you’re family.